Cremation Society began as a solution for so many that wanted a simple, dignified, and economical cremation instead of the often costly and high pressure option of a "traditional" service .... often times including "options" that weren't wanted. We invite you to review the services we offer, the professional assistive staff, and the simple process of arranging with us. Once you view who we are and what we have to offer, you will understand why Cremation Society of Mid-Michigan has become the ultimate provider of cremation services in Mid and Northern Michigan. 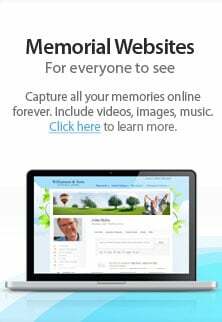 Please review our website to share our heritage, vision, and the people behind Cremation Society of Mid-Michigan's reputation of quality, sincerity, and trust. We have years of experience caring for families from all walks of life. Each family comes to us because they know we listen to their needs and are dedicated to excellent service provided with integrity. Our goal is to provide our client families with memorable remembrance experiences, unique celebrations of their loved one's life, and heart touching memories of the times they shared. The voices of those we've served are our best referrals.... Here are a few of their unsolicited comments and feelings about our services.